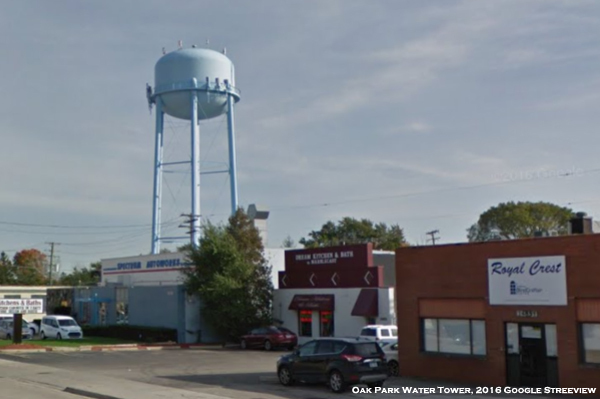 Oak Park, MI – Oak Park’s water tower used to be painted a nondescript blue that often seemed to blend in with the sky behind it. Not anymore. 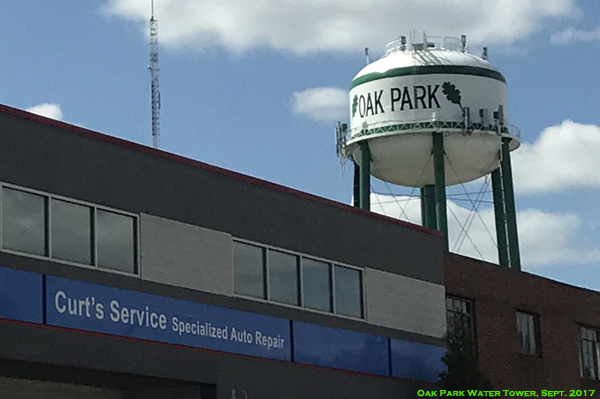 Now visitors and residents can see the Oak Park pride as the city’s name adorns two sides of the giant structure, located at 11 Mile and Tulare just across the street from neighboring Berkley. 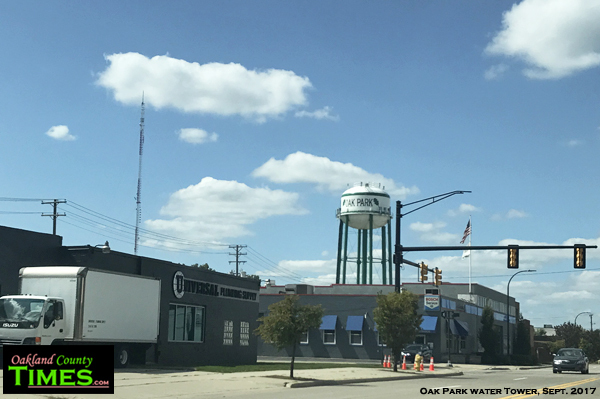 The project was announced in February along with other branding efforts – including an ice cream van manned by Oak Park Public Safety Officers giving free ice cream to kids, and the forthcoming signage to go over 696 on the Coolidge overpass welcoming people to the city. Mayor Marian McClellan is excited to see the City’s name in high places. “The tower was built in 1954 and has served the City well for 64 years. It was built to increase water pressure for the quickly developing city dubbed the fastest growing suburb in the country. Every 17 years it gets cleaned inside and out, and gets a new paint job. But this is the first time it’s been branded with the City’s name and Oak leaves,” she said.